Australian police agencies’ capacity to proactively disrupt terrorist threats will continue to be eroded without new legislation to protect classified intelligence used in warrants—potentially putting us all at risk. And some of our senior police officers are starting to get nervous. There has always been a simmering tension between intelligence collection agencies and police over the use of classified intelligence in the justice system. While police are eager to use classified intelligence, where possible, to prosecute offenders our intelligence agencies are focussed on preventing their capabilities from being compromised. The problem now in safeguarding the community from terrorism, is the startling speed at which Australian ‘clean skin’ wannabe jihadis are radicalising and beginning to plan their attacks. This feature of home grown terrorism is now undermining the effectiveness of traditional police investigations. The joint Australian Federal Police (AFP) and Victorian Police counter-terrorism raids on family homes across Melbourne’s southeast suburbs on 18 April illustrate the point. While the matter is still to go before the courts, the allegations serves to clearly illustrate the seriousness of the terror threat. Behind the scenes the police were faced with some big challenges. The investigation was initiated by classified intelligence. The alleged offenders were for the most part clean skins. At the time of the initial reporting, there was intelligence to suggest that an attack was only days away. Police investigators had little time to initiate additional investigations or evidence collection. Faced with these limitations the search warrant affidavits used to undertake the raids were heavily reliant on classified intelligence. Over the last ten years, police have had to increasingly rely on secret intelligence to disrupt and investigate terrorism cases. Until recently police often used secret intelligence to kick start or direct their investigations; as opposed to being used directly to obtain warrants. Intelligence gathering involves the collection of information, from a variety of sources with varying degrees of reliability. Often this information is classified to protect the source or capability that was used to collect the intelligence. This protection is specifically important in protecting the nation’s core intelligence capabilities; human intelligence (HUMINT)—the collection of intelligence from human sources—and signals intelligence (SIGINT)—the technical means to intercept communications between two or more parties. The information collected by intelligence agencies is collated and analysed. Analysts will develop assessments of what’s likely to be true and judge the significance of this information. With this intelligence police were able to undertake other enquiries to obtain additional unclassified information to justify access to search, surveillance or telephone intercept warrants, without the requirement to reveal the classified intelligence. The processes of identifying what’s more likely to be the truth than not separates intelligence from evidence. To be admissible in a court, information must be the truth, relevant to a fact in issue and lawfully obtained. With the shortened warning time for clean-skin terror attack planning, classified intelligence may be the only information available to police. With insufficient time, police are increasingly having to include classified intelligence in search warrant applications to justify the application of police powers. 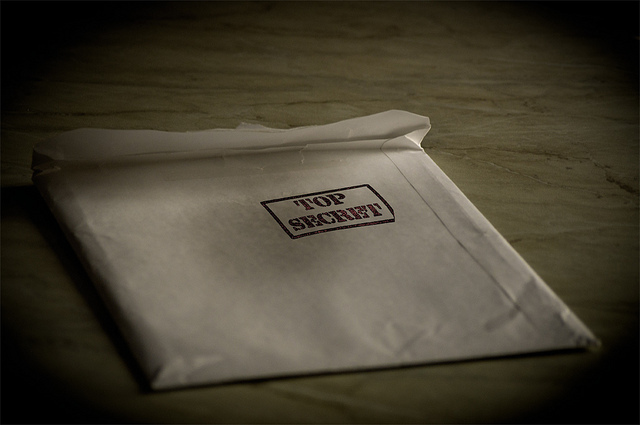 The disclosure of classified intelligence in police warrants risks exposing Australia’s intelligence collection capabilities to the public and in doing so could degrade their future effectiveness. This is particularly the case when human intelligence is involved. If an undercover agent’s details are made public, they won’t be able to continue to collect intelligence on future threats. The provisions of the Commonwealth’s National Security Information Act for protecting classified intelligence in courts doesn’t extend to affidavits and warrants. It’s now time to consider the protection of nationally classified intelligence used by our police to obtain search, telephone and surveillance warrants. What we need is legislative provisions that ensure classified affidavits used to obtain search warrants are physically secured in accordance with commonwealth security requirements. This legislation also needs to preclude classified affidavits and warrants containing classified material from disclosure in future court proceedings. Without this change, we’re asking police to achieve an impossible equilibrium between protecting classified intelligence, preventing terrorist attacks and successfully prosecuting alleged offenders. Australia also runs the risk of running the intelligence well dry over time, which could leave our nation open to future terrorist attacks. John Coyne is a senior analyst at ASPI. Image courtesy of Flickr user Michelangelo Carrieri.